It's green week at Zenadia Design! 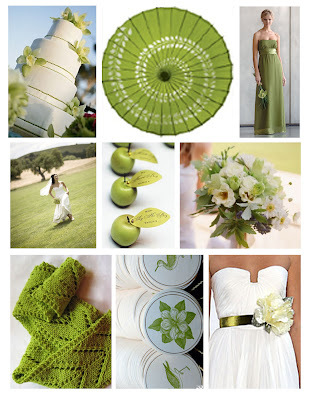 This means green color palettes, how to go "green" with your wedding and every day life etc. To start off green week, I thought we would do a color palette! Here I have paired Chartreuse and White for a clean, springy look. I love how these colors look so fresh and classic together; perfect for a spring or summer wedding!